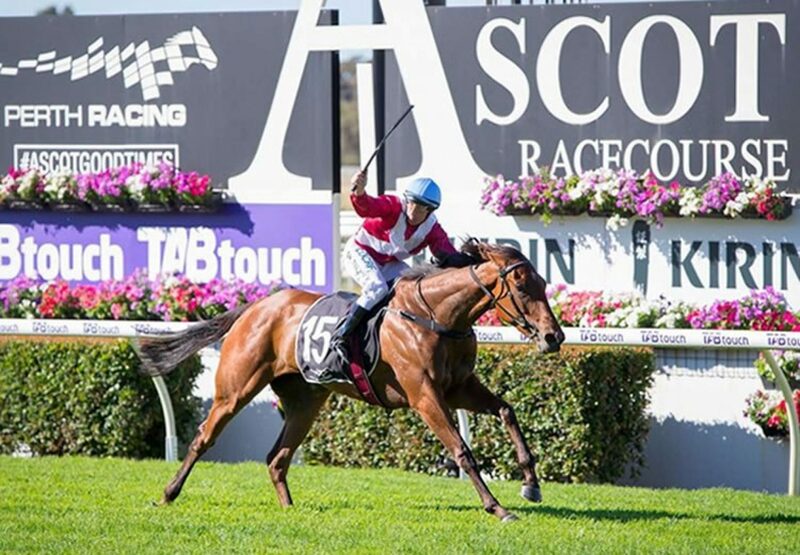 A homebred for Bob and Sandra Peters, the Grant and Alana Williams trained filly Arcadia Queen (3f Pierro x Arcadia, by Redoute's Choice) stamped herself as the find of the summer when powering clear to score a resounding victory in the $1million Group I WATC Kingston Town Classic at Ascot on Saturday. 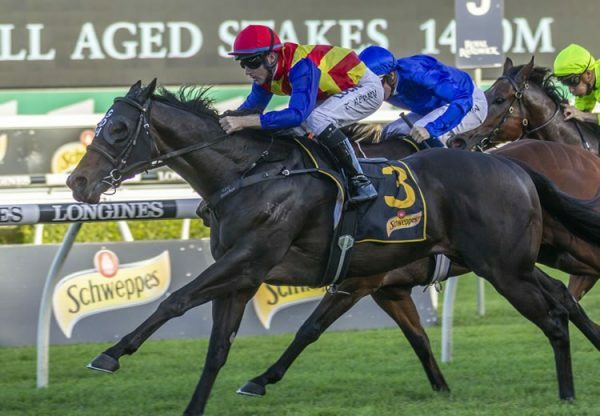 A brilliant winner of the Group III WATC Champion Fillies Stakes and then the Group II WATC WA Guineas (pictured) on her past two starts, Arcadia Queen upped the ante again when thrashing older rivals to win the weight-for-age contest over 1800 metres by four and a half lengths. 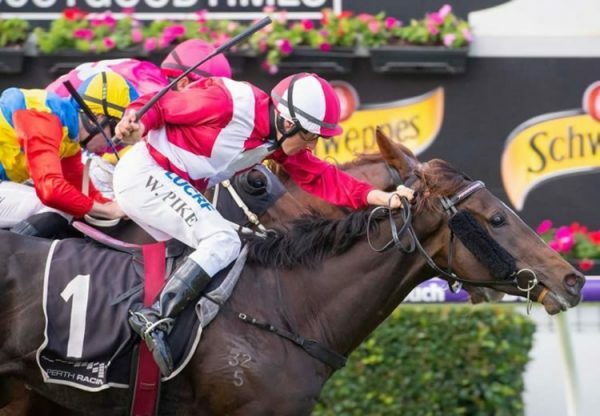 Arcadia Queen has the racing world at her feet and is spoiled for future options which may include the newly announced $7.5 million Golden Eagle for four year-olds next November. “We wouldn’t be thinking of the All-Star Mile,” said her owner Bob Peters. “But it (The Golden Eagle) is very exciting isn’t it, and they tell me you can use Regu-mate in NSW too. “It makes it a bit easier than thinking about going to Victoria where you can’t use it. “We have won the race five times and I would say that is the best win I’ve seen. 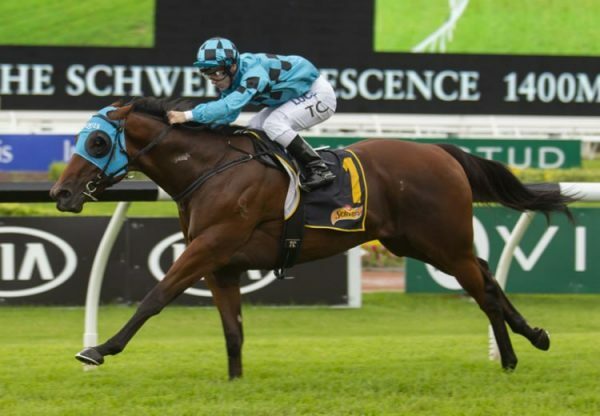 Arcadia Queen has the impressive record of five wins and a third from just six starts with prizemoney topping $1million. A half-sister to Group II WA Derby winner Arcadia Dream and stakes-winner Arcadia Rose, she is from prized broodmare Arcadia, a full sister to stakes-winner Broadway Belle, who gave the Peters’ last year’s Group II WATC West Australian Derby winner Action, another high class three year-old by Pierro. Arcadia Queen is one of 12 stakes-winners from the first two crops of Pierro and is his third Group I winner joining Pinot and Levendi. 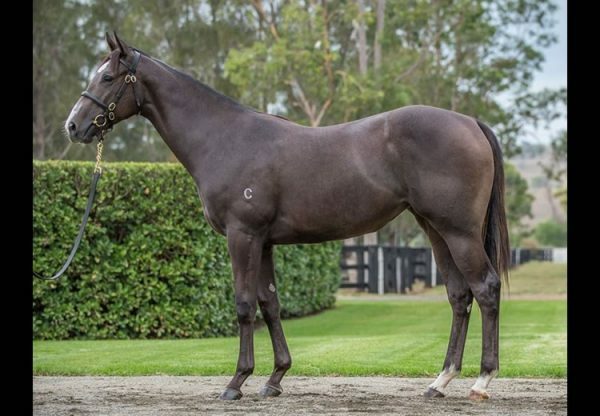 Pierro has 32 yearlings catalogued for the Magic Millions Gold Coast Sale in January.